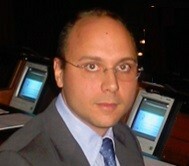 Cristian Randieri is a brilliant intelligent and great proactivity person and an effective communicator and visionary. He has built a strong (and deserved) reputation as someone with vision, diligence and honour. Cristian is not a simple engineer but he is a real Scientist. His knowledge is not restricted to the area it covers, but its impressive passion for all the technical topics led him to acquire great skills even in areas far from his original studies. Cristian is able to address and solve complex technical problems with excellent results. He is a valuable writer with great scientific background formed with more than 15 years of active research on experimental Nuclear Physics performed in the most famous international research laboratories such as CERN, ESRF, INFN. He write about HI-Tech solutions topics and advanced research study applied to industry. With more than 150 scientific & technical publications, he is also, a technical and famous writer in Italy due to his interviews released to the most famous Industrial Italian magazines. Actually, he is the President & CEO of Intellisystem Technologies an Italian Research & Developments company committed to develop and sell innovative and advanced solutions.